Now, regarding the one who started all this—the person in question who caused all this pain—I want you to know that I am not the one injured in this as much as, with a few exceptions, all of you. So I don’t want to come down too hard. What the majority of you agreed to as punishment is punishment enough. Now is the time to forgive this man and help him back on his feet. If all you do is pour on the guilt, you could very well drown him in it. My counsel now is to pour on the love. In these verses, Paul was addressing the church in Corinth about a forgiveness issue. He specifically mentioned a man (many believe was the same man spoken about in 1 Corinthians 5:1–2). This man had insulted Paul because he had committed an egregious sin, and the people in the church grieved Paul because they hadn’t done anything about it. When we become complacent to call out sin, it makes it more difficult to deal with issues such as forgiveness, rebuke, repentance, and restoration because the boundaries become blurred. In between the first letter (1 Corinthians) and this letter, Paul had written a second letter (that letter was lost and did not make it into the Bible). Apparently, the second letter was effective in bringing about the needed repentance and change. In this (the third) letter, Paul basically was saying, “Enough. It’s time to forgive and comfort him. Otherwise he may be overcome by discouragement. So I urge you now to reaffirm your love for him” (2 Corinthians 2:7–8). Forgiveness is at the core of the Gospel. The Gospel begins with forgiveness because without forgiveness we would be eternally separated from God. “Forgive” is a verb. It's an action. It is not passive. It is intentional. Dictionary.com = verb (used with object), forgave, forgiven, forgiving. 1.to grant pardon for or remission of (an offense, debt, etc. ); absolve. 2.to give up all claim on account of; remit (a debt, obligation, etc.). 3.to grant pardon to (a person). to forgive the interest owed on a loan. Forgiveness is a choice. Whether we are receiving or extending forgiveness, it begins with a choice. I came across a video clip last night on Facebook by the WayFM. In the video, Mike from Tenth Avenue North talks about his grandfather. His grandfather beat his wife (Mike’s grandmother) and his dad (Mike’s father), and was an alcoholic. One day, Mike had a conversation with his dad and asked him how it was that he didn’t perpetuate the cycle of alcoholism and abuse. Mike’s father said that one day he was reading his Bible and he read the verse I just mentioned above (Colossians 3:13). Mike knew he was commanded to forgive. Mike’s dad wrote his dad a letter and in it, he didn’t just say, “I forgive you.” No, he owned his own wrongdoing. He asked his dad to forgive him for the resentment he had against him. Not only did Mike’s dad release his dad from his wrong-doing, he admitted his own wrong-doing of not forgetting and forgiving. That’s huge. There is blessing in obedience and Mike’s dad did not go on to carry the ugliness of alcoholism and abuse that his dad had. He extended forgiveness as Christ forgave him for resenting his dad for all those years. Forgiveness often comes before repentance, and often we may never see repentance, but forgiveness should motivate us (or the offender) toward repentance. In the account of the woman caught in adultery (John 8:1–11), the woman never asked for forgiveness, and never confessed her sin. She simply was there, Jesus forgave her, and told her “to go and sin no more.” That kind of forgiveness (which spared this woman from a physical death and a spiritual death if she, in fact, put her faith and trust in Jesus) motivates you to change. There are numerous other examples in the Bible where Jesus extended forgiveness without the individual specifically confessing before forgiveness was offered (the woman at the well, the demon possessed, naked man…even the criminal on the cross never had a moment to show true repentance and yet Jesus forgave him (Luke 23:40–43)). If we are to be Christ-like in all our ways, we need to extend forgiveness in the way Jesus extends forgiveness. We don’t have the power to save, but we do have the power to cause someone to stumble and be discouraged (as Paul mentioned in 2 Corinthians 2:7) if we don’t forgive. Forgiveness + repentance can lead to reconciliation and restoration. If we withhold forgiveness, reconciliation and restoration might not ever be possible. It all starts with forgiveness. 3.to compose or settle (a quarrel, dispute, etc.). to reconcile differing statements; to reconcile accounts. 5.to reconsecrate (a desecrated church, cemetery, etc.). 6.to restore (an excommunicate or penitent) to communion in a church. verb (used without object), reconciled, reconciling. 2.the state or fact of being restored. 3.a return of something to a former, original, normal, or unimpaired condition. What happens if you quit? What if you don't forgive? What happens to the other person? Do you care? It hurts either way so why not keep pursuing forgiveness, reconciliation, and restoration? Push through in prayer. Push through in the way you react. Unforgiveness is a tool the enemy uses to get a toe hold into your life. The ugly fruit of unforgiveness is sadness, hate, and unkindness – the complete opposite of the fruit of the Spirit found in Galatians 5:22-23 (the fruit of the Spirit is love, joy, peace, patience, kindness, goodness, faithfulness, gentleness, and self-control. Unforgiveness and bitterness harm us physically, emotionally and spiritually. We are not responsible for the outcome; we are only responsible for the obedience. Paul wrote to this church and he said he “tested” them to see if they would be obedient (2 Corinthians 2:9). What if whatever it is that you need to forgive or be forgiven for is a test by God? We’ve already been told by Jesus to forgive. In the Sermon on the Mount in Matthew 6:14-15, right after saying the Lord’s prayer Jesus said, “In prayer there is a connection between what God does and what you do. You can’t get forgiveness from God, for instance, without also forgiving others. If you refuse to do your part, you cut yourself off from God’s part” (The Message Translation). In unforgiveness you are not only not forgiving, you are being completely disobedient. There’s no blessing in that. As Paul said in 2 Corinthians 2:11, Satan’s schemes are evil. Satan understands unforgiveness better than anybody. He will NEVER have an opportunity to be forgiven. EVER. His fate is sealed, but the believer’s fate is sealed with FORGIVENESS. We can’t withhold something that God gave His only Son to die for. Forgiveness from God through Jesus is a gift that changes lives for all eternity. Forgiveness has the power to change lives here on earth, too. It releases the captive, it repairs relationships, and it heals physically, emotionally, and spiritually. If not forgiving someone is like drinking poison and hoping the other person dies how much better is forgiving someone? How does unforgiveness lead to healing and hope? It never does. Paul urged the people in the church at Corinth to forgive this man because the risk of causing further hurt was too great. Forgiveness may not result in immediate repentance, restoration or reconciliation, but unforgiveness can for sure hinder those things. 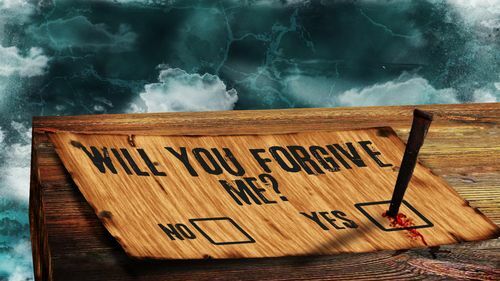 How would you feel if you spent years not forgiving someone (as a believer mind you) and one day that same person came to you and asked you to forgive them? How many hours did you waste time and energy withholding forgiveness to that person? It’s not worth it. Choose to forgive today and pray that your forgiveness and prayers lead that person to repentance. If you are in need of forgiving, prove it by changing your ways, and praying that person (or people) will see your change. I’ve spent a lot of time reaching out to people I needed to forgive and people I needed to ask for forgiveness from. It’s humbling, but it is so freeing. Unforgiveness grieves the Spirit because it grieves the heart of God and breaks our complete fellowship with Him. I urge you, dear brothers and sisters, to live in a state of forgiveness always. 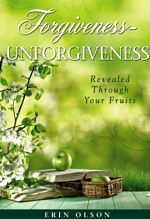 Interested in learning more about Forgiveness and Unforgiveness as they relate to the fruit of the Spirit? Click HERE to learn more.